“Rube Goldberg” is the only person ever to be listed in the Merriam Webster Dictionary as an adjective. The definition is as follows: a comically involved, complicated invention, laboriously contrived to perform a simple operation. In the spirit of Goldberg’s zany creations, contests around the country are held to create similar machines based on a prompt. 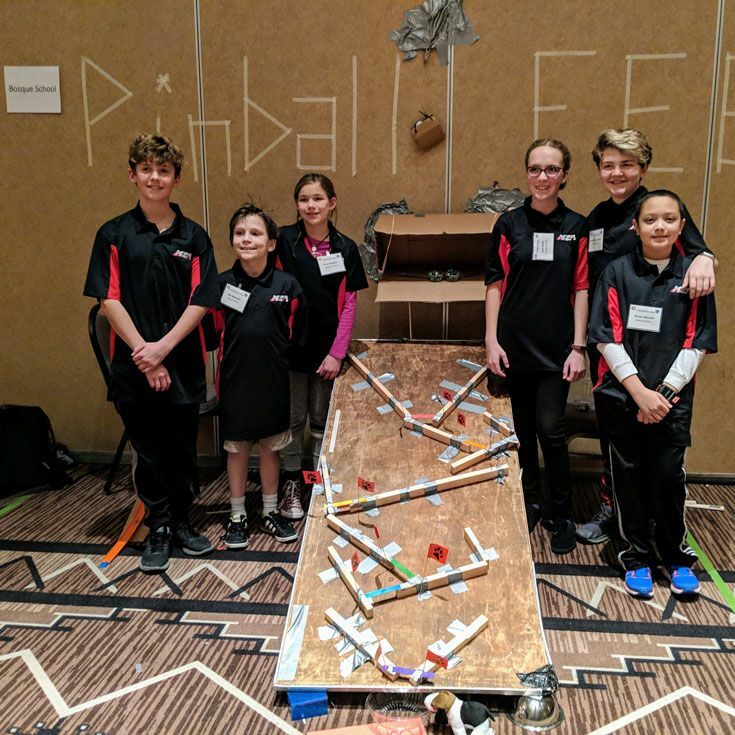 Last week, Cathy Bailey and a group of middle school student volunteers rose to the challenge of envisioning how feeding a pet can be demonstrated through a Rube Goldberg machine. The contest begins with a box of “things”—everyday objects such as ping pong balls, cardboard, and tape. Competitors must then use these items in the most creative, and sometimes convoluted, ways to accomplish a task. Setup must be finished within a three-hour window, and the machine must be able to perform more than once with a reset time under five minutes. “They had no limits on what they could do,” said Ms. Bailey. 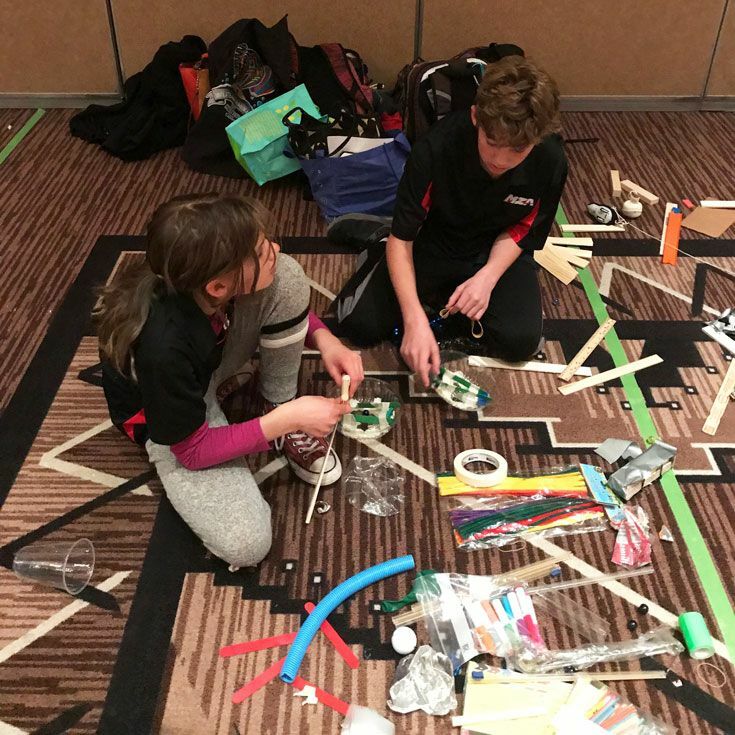 “It was a really interactive day where the kids were able to consult with real engineers and see other students engage in the process.” This year is the second year Bosque School has participated in the event. “We were the only mix of 6th–8th graders in our division, and the kids had only one week to workshop different ideas during a Friday Fun day,” added Ms. Bailey. Bosque’s competitive efforts resulted in another 2nd place finish and a check for $750! 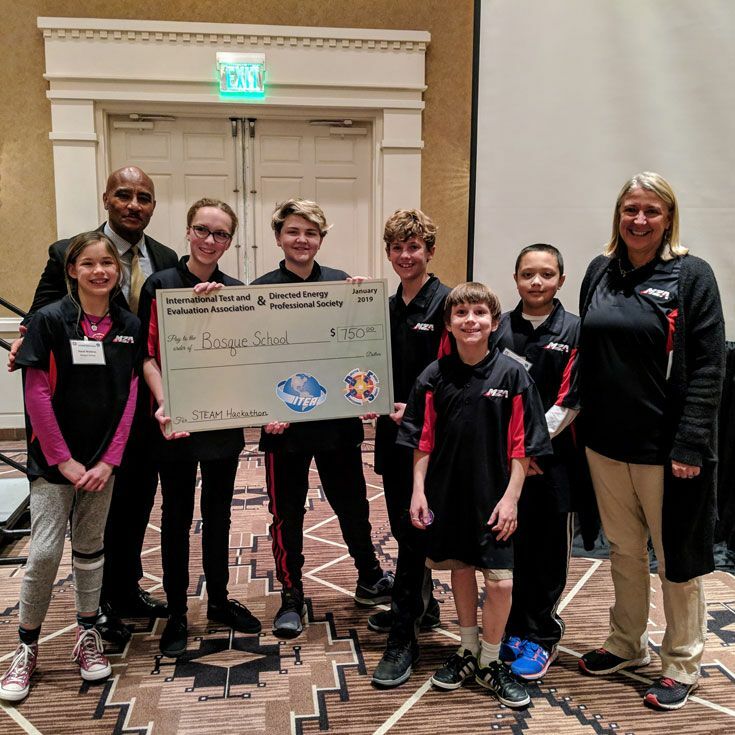 Our team was generously sponsored by Phil Macklin and MZA Associates Corporation, that provided the uniforms and prize money for the competition. This year’s team hopes to use the money to install an “environment-friendly” water fountain somewhere on campus. If any money remains, the students decided it should go toward tuition assistance in the Annual Fund. Ms. Bailey hopes that next year Bosque can enter both middle school and upper school teams to the competition. Depending on interest, Bosque may host its own Rube Goldberg competition between advisories! Stay tuned.